Always the most frustrating genre to predict for the Grammy Awards thanks to the bafflingly long build up time most Country records have on radio. There’s a song that has only just reached #1 on the Country Airplay chart, but was released BEFORE the eligibility period for the 2018 Grammy Awards. Despite this, there are usually a couple of obvious locks for a nomination and this year’s show is no different. As if we have gone back in time to the 2016 awards which saw music performed by Chris Stapleton and Little Big Town share the 4 categories here, the chances of these two Grammy favourites appearing here is all but certain. Stapleton was the big story of that Grammy year, with his debut solo record Traveller making it all the way into the top Album of the Year category. I wouldn’t say that the even more stripped down From a Room: Volume 1 will do the same, but it’s surely an early contender for the Best Country Album category. I’ve opted for Broken Halos for the song categories, where a track like Either Way or album stand out I Was Wrong could happily be submitted instead. Broken Halos is helped by being penned by Stapleton as well, the problem that breakout hit Tennessee Whiskey had 2 years ago. Little Big Town are the second of the three obvious acts set for nominations this year, despite their song and album not being as inescapable as Girl Crush was in 2016. The Taylor Swift penned Better Man might just be her best chance at a win in 2018 too, her brief return to the genre that she made her name in was welcomed by much of the industry. Though their album will also probably make the cut, the group performance category is where I think Little Big Town are not only a lock for a nomination but the definite favourites for the trophy. The vocal performance from singer Karen Fairchild is absolutely one of the best of the last 12 months. Better Man will 100% be in the mix here. Other Grammy favourites that could be in contention? Tim McGraw and Faith Hill are surely the genre’s most popular pairing, while last year’s Solo Performance winner Maren Morris could help give Thomas Rhett another nomination with their #1 hit Craving You. I’ve also opted for Zac Brown Band over Lady Antebellum for the album award, the latter of these acts having missed out on a nomination since 2012. Alison Krauss has not only received more Grammy nominations than everyone else I’ve mentioned in the Album category combined, she has also won more Grammys than any other singer in history. To say she’s guaranteed a nomination here is an understatement. Body Like A Back Road has broken records for Sam Hunt on just about every country chart it could, but something tells me that the biggest country hit of the year might miss out here. We’ve seen the likes of Cruise and Sam Hunt’s own Take Your Time suffer the same fate in recent years. Shania Twain has previously been nominated for all 4 of the General field categories, but for the 2018 show she’s surely an outsider. 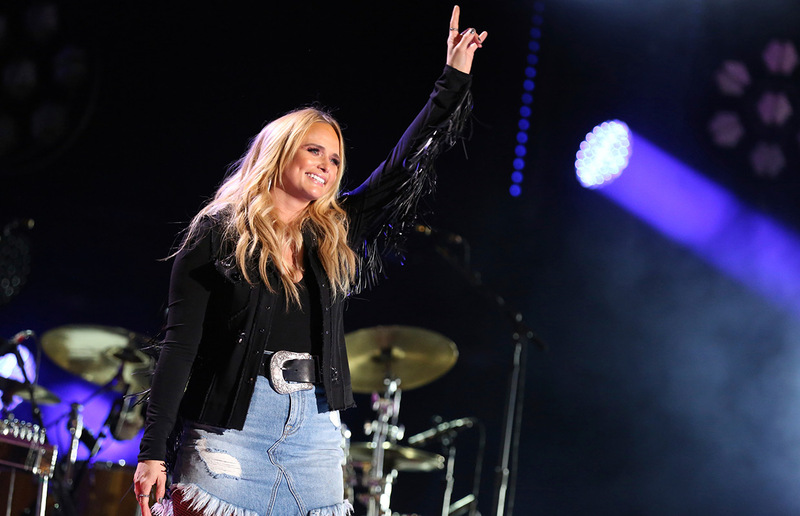 I’ve opted to predict that single Life’s About To Get Good will sneak into a category over her album Now, which may just have been released too late in the eligibility period for the Country genre voters to get behind. Other outside veterens? Reba McEntire could score a nomination for her debut gospel album, while Dolly Parton could repeat her winning formula from last year’s show, where her appearance on a version of her own song on Kesha’s album could replicate the success of her Pentatonix duet. As far as newcomers go, this year’s selection is pretty sparse. My pick for Best New Artist Lauren Alaina isn’t eligible for her breakout hit Road Less Traveled, so instead is banking on her appearance on Kane Brown’s What Ifs to score a nomination here. Brett Young could be a decent choice with In Case You Didn’t Know, though it didn’t have the same level of critical praise that followed the likes of My Church last year. Old Dominion have slowly become one of the top groups in the genre too, so could pick up a nomination for their #1 hit No Such Thing as A Broken Heart. There’s one name I am yet to mention, surely the odds on favourite to win every category but Group here. The Weight of These Wings has already seen nominations last year for lead single Vice, but thanks to the heart-breakingly stripped back Tin Man this is surely the year Miranda’s year? In fact, they might even submit her duet with boyfriend Anderson East Pushin’ Time to complete the set. As an album it’s undeniably her strongest to date and following her first win in this category 3 years ago for Platinum, a nomination here is obvious. It’s a truly timeless album too, exactly the sort of ‘event’ release that the academy rewards, in fact there is so much buzz around it that an Album of the Year nomination isn’t out of the question. If The Weight of These Wings doesn’t win Best Country Album in February, I will absolutely baffled. Tags: Better Man, Chris Stapleton, Country, Craving You, Faith Hill, Grammy Awards 2018, Grammys, Grammys 2018, Little Big Town, Miranda Lambert, Taylor Swift, The Breaker, The Weight of These Wings, Thomas Rhett, Tim McGraw. Bookmark the permalink.